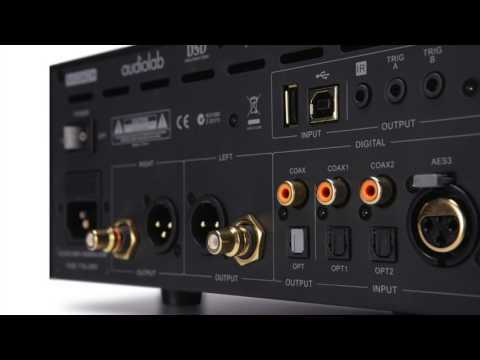 The new M-DAC Plus is a high-performance, multi-purpose audio DAC (Digital-to-Analogue Converter) for home use, designed to sit on a desk or table, or integrate into a hi-fi system. M-DAC Plus enhances the performance of the original M-DAC in so many ways. 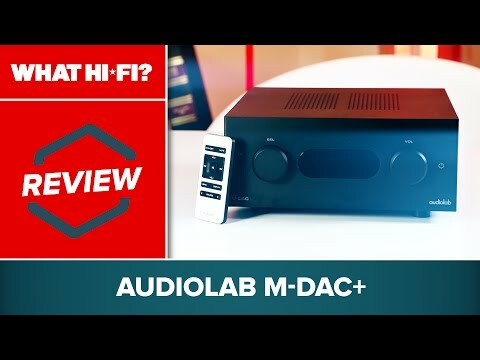 M-DAC Plus adds to the enormous capabilities of the M-DAC by adding 32 bit / 384kHz resolution for the USB input and 24-bit /192kHz for coaxial and optical inputs, M-DAC Plus can also link directly to your apple devices to make the most of all your stored music via an A-type USB input, configured specifically for iOS devices. If you’re a fan of DSD audio, M-DAC Plus caters to that too, and with its choice of 4 different decoding filters for DSD audio and 7 filters for PCM audio, you can select the right filter to get the best performance from each source right from the comfort of your listening seat. In addition, Audiolab’s engineers have dug into the depths of the digital decoding capabilities of the Sabre 32-bit DAC that is at the heart of M-DAC Plus, extracting every ounce of musical detail and displaying it in a stunningly realistic, rich and believable 3D acoustic. Versatile in capability and alluring in performance, M-DAC Plus will continue to delight you for many years to come.